Origin / ancestry Platinum Kush Type: hybrid. Parents: Platinum Kush is speculated to be a cross between an unknown Afghan variety and Master Kush. Others speculate it may be the result of breeding between OG Kush and an Afghan weed. May Relieve Platinum Kush bud is known or its ability to induce relaxation. This makes it a great choice for stress, anxiety, depression, ADHD, and other mood disorders that result in anxious feelings. The long-lasting effect will also help with chronic pain such as back pain, polymyositis, shingles pain, and fibromyalgia. Disease resistance Platinum Kush is resistant to most threats such as fungi, mold, insects, other pests, mildew, bacteria, and plant viruses. Plant Height Platinum Kush is a plant of comparatively medium height. 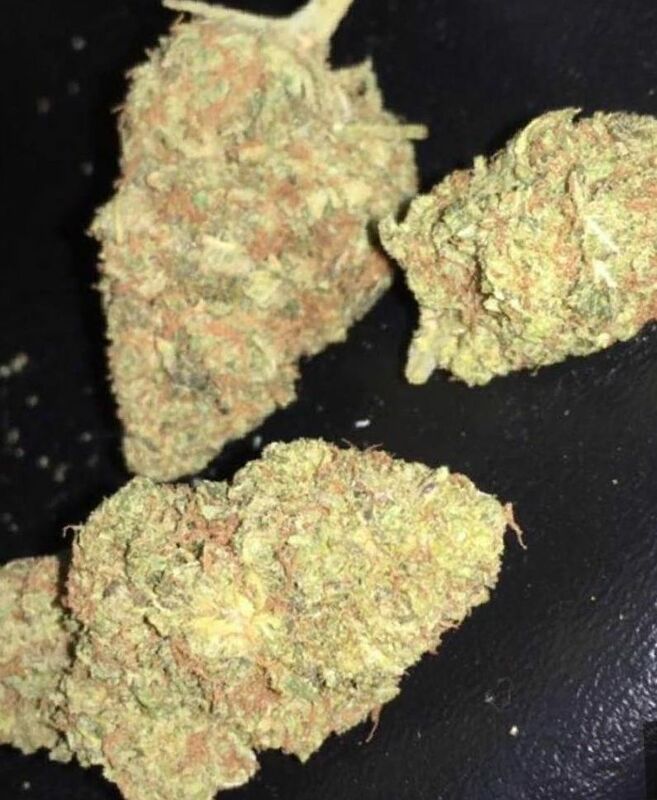 Adverse effects Platinum Kush is a strong sedative and therefore can have the side effect of causing sleepiness, couchlock, dry mouth, and dry eyes. 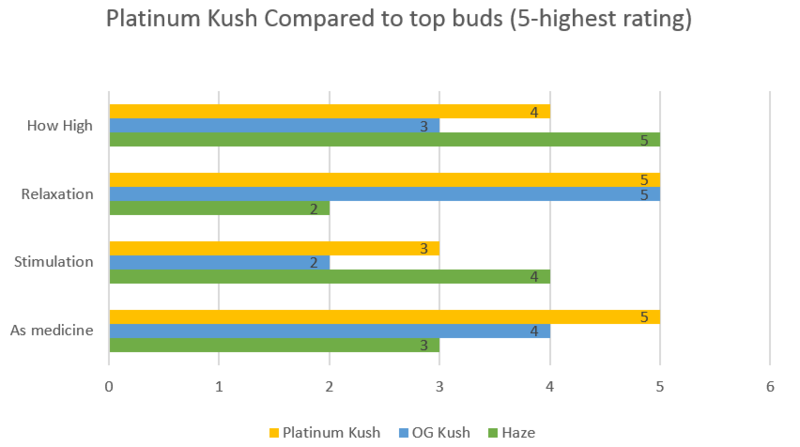 Growing difficulty Platinum Kush can be an easy plant to grow for cultivators. Platinum Kush is the ultimate medical strain. It is speculated to be a cross between an unknown Afghan and Master Kush producing a powerful Indica. Alternately, some speculate that it is instead a cross between OG Kush and an Afghan strain. There may be different varieties. 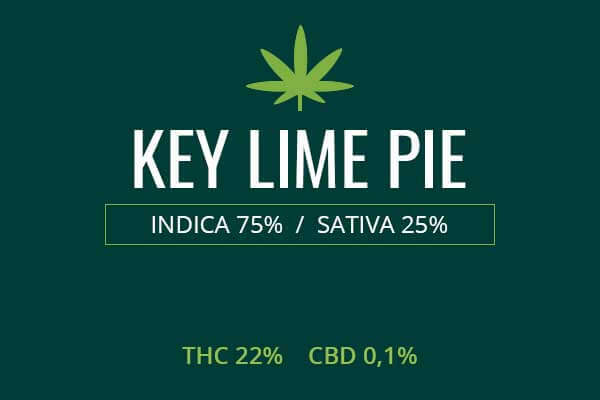 One with lower THC levels, around 18%, and another, possibly the type associated with OG Kush, with THC levels up to a whopping 27%. The name Platinum Kush describes the bounty of white, reflective, sticky-icky trichomes which contain a high degree of easily accessible THC along with about 1 percent CBD and other cannabinoids. 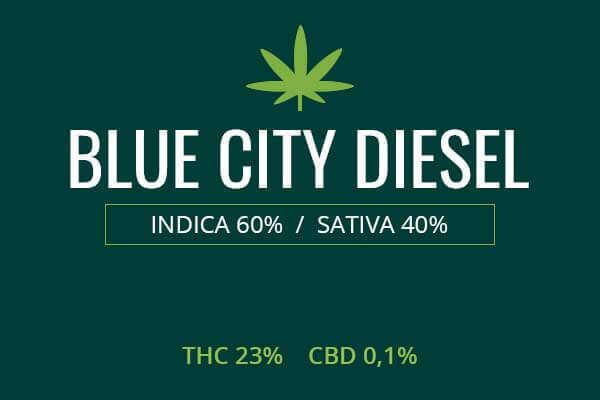 The CBD content is higher than that of your usual recreational strain and is aimed at adding an anti-inflammatory effect for medical users. Platinum Kush is a famed strain, having won Best Hydro in the High Times Cup Award of 1994. Platinum Kush has a Platinum look, due to the sticky, resinous trichomes sprouting in great bounty. Fuzzy green leaves jut out from these densely packed trichomes, with hypnotic pistils meandering out from the center like psychedelic orange vines. Platinum Kush has a pleasant and surprising fragrance which is sweet and spicy at the same time. There are hints of berries as well as pine. It is pleasing and appetizing, revealing also an earthiness and depth that foreshadows the strong wealth of cannabinoids in the weed plant. Growing weed from Platinum Kush cannabis seeds and cuttings is said to be comparatively easy to do. It will grow to a medium height. Cultivars like to keep it indoors in order to carefully control growing conditions and provide adequate and controlled air low to the growing plant. Platinum Kush can also be grown outdoors. It thrives in a place that has a drier climate and abundant warmth. It is best to keep it away from cold temperatures. Indoors, Platinum Kush will be ready for harvest in eight to nine weeks. It will yield a heavy cache of 18 ounces per square meter. Outdoors, Platinum Kush will yield a respectable take of about 14 ounces per plant. Harvest will be around the later days of the month of September. Platinum Kush weed has varieties with THC levels of 18 percent and respectable CBD of 1 percent, as well as other therapeutic cannabinoids and terpenoids. There are also varieties that can have a whopping 27 percent content of THC. So, it’s useful to choose your Platinum weed according to your specific medical needs. 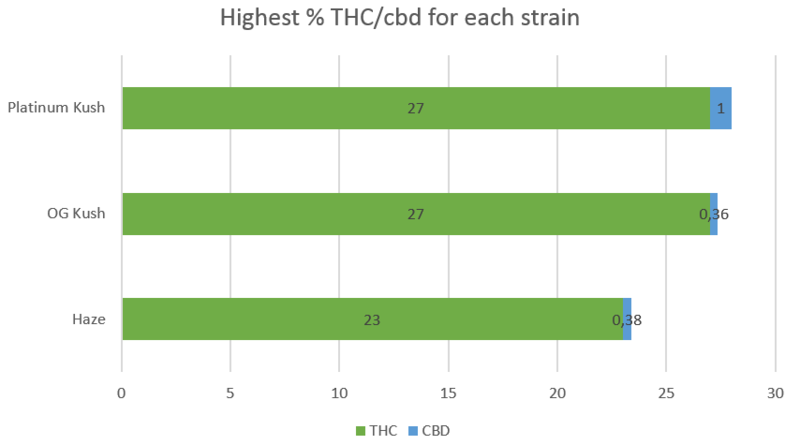 If you want a less powerful punch and a smooth sedative effect, you may want to go for the lower THC content. If you need knockout medicine, you may go for the high THC variety. Platinum Kush weed is famed or its ability to cause sedation. This sedation can be useful in altering mood in those are anxious, such as in Social Anxiety Disorder, Generalized Anxiety disorder, and Major Depressive Disorder with anxiety. Those with these disorders will have to trial the weed for their medicinal issues to see if it provides the relief they seek. It may also be useful in calming those with ADHD and those who simply need a respite from the stress of everyday life. Platinum Kush is a great choice for chronic pain. It can be like a magical pain-relieving blanket when the relief hits. It can be used for minor muscle aches and spasms, to more serious pains that result from conditions like polymyositis, fibromyalgia, sciatica, and neuropathic pain that may affect the limbs and feet. Platinum Kush can provide strong pain relief and also the relaxation that may be needed to calm the mind from the stress of living with chronic pain. Platinum Kush packs a strong punch against the sensation of nausea. Nausea can have many causes. Frequently, intractable nausea is caused by cancer treatments such as radiation and chemotherapy. 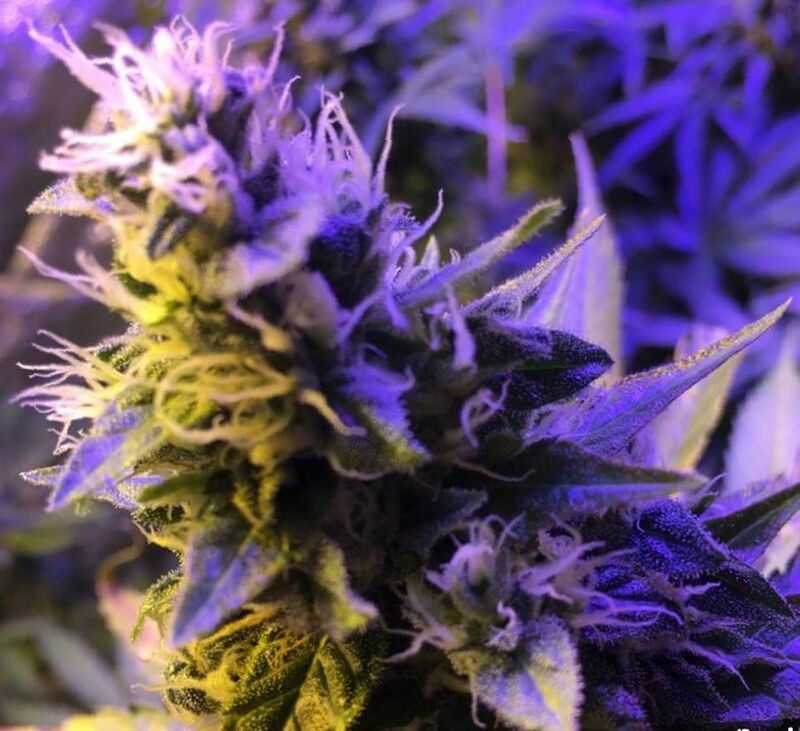 Platinum Kush and other varieties of strong, professional, medical-grade marijuana is sometimes one o the only treatments that provide relief to sufferers experiencing a powerful sense of nausea. It can also bring on an appetite to allow patients to eat, gain weight, grow stronger, and continue on the road to recovery. Platinum Kush is famed for its ability to induce sleep. It is a powerful weapon against insomnia. Some persons have insomnia merely due to stress. Others have insomnia secondary to conditions like clinical depression, Bipolar disorder, and anxiety disorders. Platinum Kush can be a life-saver as it allows patients to ease into a comfortable and easy slumber. Platinum Kush will hit hard with a powerful sedative effect that will lay your body out. You should be in a place where you can sit or lay comfortably, perhaps with some lazy entertainment, be it music or movies. You may want to chill with friends. The effect will cleanse your body of aches and pains and it will put a permanent smile on your face. You may talk in a faint voice, feeling each vibration as you sink into a blissful peace. You will want to hold off on participating in highly active endeavors until the effect wears off, leaving you with a pain-relieving glow but allowing you to function on a high level. 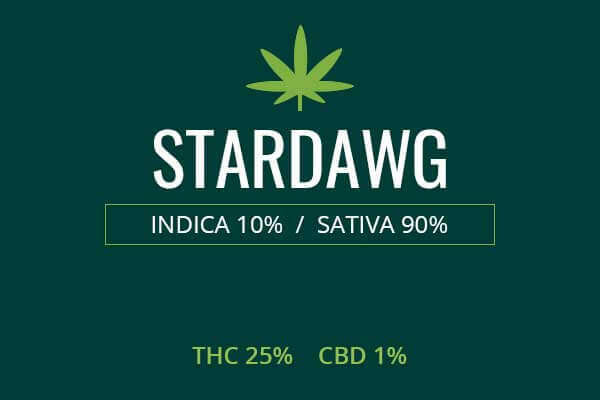 However, the best time to use this powerful Indica is when you are ready to drift off into a peaceful slumber or a meditation of stillness and just being. Love Platinum Kush strain, it completely puts you at ease and gives you mellow creative vibes. This is the perfect bud to smoke after a long day at work. It lets you relax, giving you an uplifting yet calming feeling and a nice head buzz with no paranoia. I found is especially good for sore feet and back pain. Pain, anxiety and everything else slip away. Definitely one of my favorites! Platinum Kush is a very good indica. A very good smell, not over-bearing. The high was extremely uplifting, can't wait to smoke more. A pleasant body-easing high delivers relief from muscle pain and brings easy sleep. 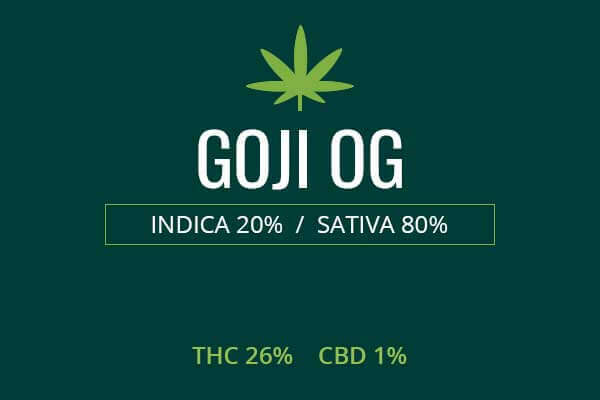 If you are looking to medicate for pain but don’t want to get couch locked this is your strain. Perfect for chilling out at night or smoking before bed. Great strain! Platinum Kush weed has to be renamed to be the Knockout or something. Lately I’ve been looking for something deep and when I came across this strain, I knew I had to try it. I have some amazing experience with Master Kush, so trying this one became a must-do on my list. Here’s what my experience with PK was like: I thought it was powerful but I expected a stronger body high, to be honest… But it was psychedelic and extremely relaxing, though. It gave me an incredible feeling of floatiness and happiness. Smoked a bowl of this stuff and I was gone to another world. Highly recommend this strain. My friend said Platinum Kush wasn’t able to reduce her anxiety but after trying it myself I think that her problem is that she didn’t smoke enough. It’s just what the doctor ordered, as far as I’m concerned. Smoking this weed makes you feel like you’re getting a full body massage from a professional who knows exactly what you want. Hands down the best strain I’ve smoked this year. Platinum Kush buds smell like lemons and pine, which I especially like. The weed itself had strong sedative effects because after one bowl I was feeling a very heavy body relaxation. The only thing that I can remember is that the lemon taste stayed on my lips for a while, and I loved it. Slept like a baby, too, so anyone looking for a good weed for sleeping should try it. Believe me or not, when I smelled Platinum Kush cannabis for the first time in the dispensary, I thought it smelt like tea! I consider it a sign of a high-class weed, so I bought it. The effects were actually quite amazing! For a couple of hours, my focus sharpened but I was still very relaxed (I wish I could smoke this at work because it really did wonders for my focus). Also loved minimal psychoactive effects – don’t like the feeling like my heart is jumping out of my chest. Are you seeking to solve your insomnia problems? Then try Platinum Kush marijuana strain. In my experience, it gave me magnificent sleep and relaxation that I’ve been wanting for so long. Now, every time my insomnia starts to give me problems, I know my best medicine. 5 stars from me! Would definitely be purchasing this solid example of Kush once again. Why? Because it gets me very stoned and makes me forget about my chronic pain, man. Just smoked it the other day, wonderful aroma and good, smooth pulls from the bong… Inhaled it and waited for several minutes until I was stoned out of my mind. My man, the feeling is amazing. So much better than the medication prescribed by my doctor.